We elevate and accelerate prototyping to production, but our ability to take on challenges is at the heart of everything we do. Duggan is an 18-year-old company that recognizes every prototyping job has its own unique set of requirements and production manufacturing challenges. Because of this, customers rely on our experience, technical expertise and creativity to produce the results they need. From the front desk to the warehouse material personnel, we have attracted talent who thrive on solving complex problems and are up to the challenges of producing precision custom parts within limited timeframes and information. Everyone here has a singular goal of a successful quality outcome for every part delivery. The objective is always a positive customer experience. Customers appreciate our open-door policy and absolute flexibility. We pride ourselves on being easy to do business with, from hassle-free access to key team members for job status, to utilizing best practices and the know-how of our tenured talent to be sure customers are satisfied and have achieved the best solution possible. What is really rewarding for our customers is we have the in-house capabilities with the latest equipment, which speeds up time-to-market, delivering a high quality-product each and every time. Customers who chose Duggan are satisfied by our skills and know-how, giving them the confidence that their products are produced in the best way possible, and the efficiency gained from not having to source work from multiple suppliers. Whether it’s prototype development or a full production run we have the resources and capabilities to accomplish your goals. We understand there is no work without customers, no work gets done without the talented people here at Duggan manufacturing and delivering quality work depends on our trusted and critical supplier relationships for materials at the specifications and quantities our customers need, when they need them. With over 10,000 sq feet of dedicated space and over 1 Million pounds of sheet metal, we have the resources to take on jobs including prototype development and low volume through full production run. A typical job could increase from small quantities to hundreds of parts daily. The ability to handle all mission critical processes for a given product in-house and having the talent and resources to respond quickly, delivers immediate value to our customers. At Duggan, we will continue to strategically invest in growing the depth and breadth of our capabilities, so customers know when they come to Duggan they will get the best part in the fastest time. Laser Cutting: Expertise in ferrous, non ferrous normal and reflective materials. Commitment to investing in capabilities, leading edge technology and equipment to be where our customers need us even in advance of their product demand. Additional services include design, modeling, CMM inspection, testing, blue light scanning, metallurgical lab services, and reverse engineering. As we continue to grow, we will never forget that its’ people, customers and suppliers that are the key to our success. Duggan Manufacturing came from humble beginnings with two men, who were longtime friends (Rodney Westich and Tony Pinho), and one idea that they would build a prototyping business that would service customers better. Both Rodney and Tony had been working in the automotive industry for many years and had learned what worked and what didn’t work when it came down to how to really serve their customers needs in the best way. In 2000, they took a leap of faith and went to friends and family to get their seed money. They purchased a few used machines, and began operating an automotive specialty sheet metal prototype and limited production manufacturing company out of Fred and Edna’s former dairy barn and welding shop on Van Dyke in Almont, Michigan. From the onset, Tony and Rodney strove to take on challenges like labor intensive, tight tolerance parts that no one wanted to perform, such as 300-point inspection checks. It was not as desirable, but they did it. Because they saw an opening for a new, hungry company they were willing to go the extra mile and give unprecedented attention to detail. This carried over as part of the DNA from the very beginning. Precision & quality has never left. 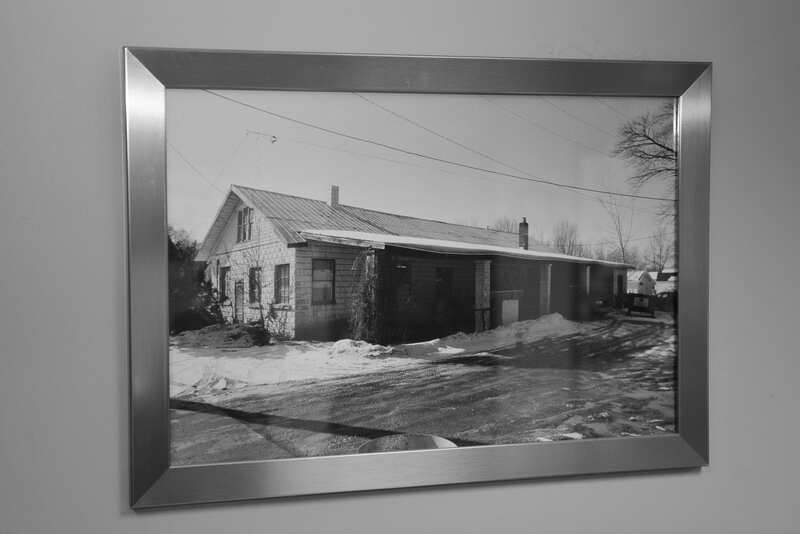 The talent and passion that enabled the company to grow from a small team operating out of a dairy barn to a major manufacturing and prototype development facility continues to drive us forward today. Duggan continuously stays on the cutting edge of technology; constantly growing their talent pool and investing in new technology to ensure that they are always equipped to solve any problem. This focus and passion means that the best solution is the only solution that matters. 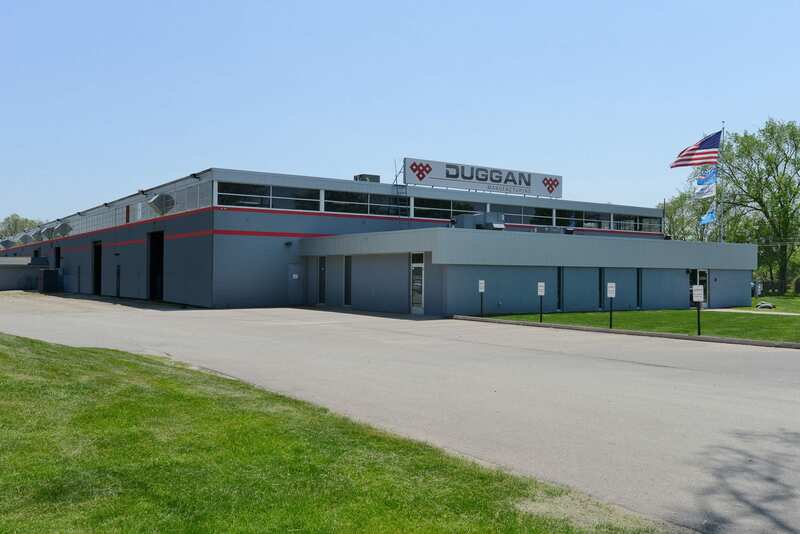 Duggan Manufacturing is a #1 category supplier of precision metal fabrication, prototype manufacturing and short run production for Tier 1 Suppliers and OEM’s in the Midwest who seek the best possible part when they go into production. Such customers would prefer the Duggan solution over others because Duggan provides them with the competitive edge they need to succeed.